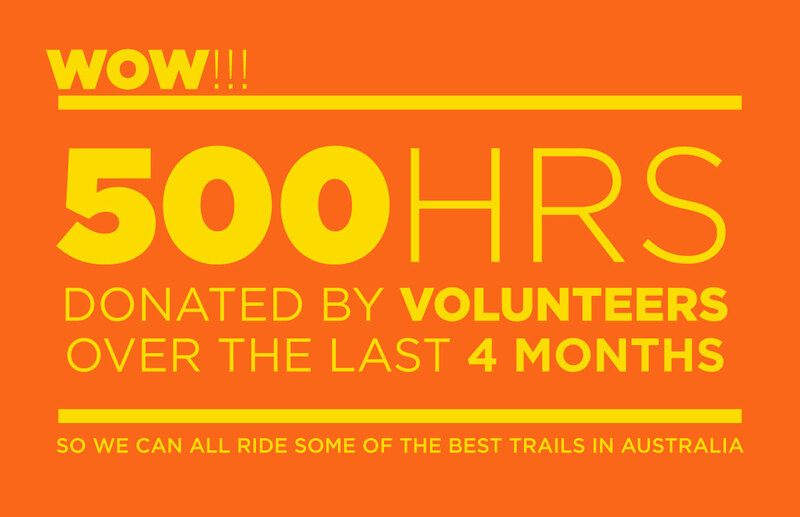 Over the last 4 months, ACC volunteers have racked up a total of 480+hrs working on the trails in our MTB park. This is an amazing effort and our MTB coordinators Notty and Dan wish to Thank all that have turned up to one or more of their trail working bees, or taken it upon themselves to head out and to do maintenance on the trails. In our eyes, you all deserve a medal for putting in the hard work so everyone can enjoy some of the best trails Australia has to offer. 150+ Individual work hours logged on trail forks. Where people go out in there own spare time and clear fallen trees, clean drains and brush cut etc. It should be noted that the majority of work has been shared by about 13 key people: Dan Millar, Steve Bryan, Andrew Geekie, Julien, David Innes, Geoff Mc, Ross Grant,Philll Robichaud, Ben Duell, Rowan Jones, Pete Ellis and Notty. Along with other regulars, Steve Blake, Matt Molijn, Rich Harthen, Lincoln Harper, Sarah Geekie, Buddha and a bunch more. Please keep an eye out for our next Trail Maintenance Session as we can always use some help and love seeing new faces. Our next trail maintenance sessions can be found on our Facebook Events page.